"With the right heart beating beside yours, all is possible." What a pleasure to read historical fiction that expands on known facts not only in breadth, but also in depth! 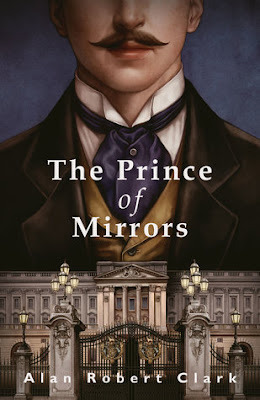 Such is the case in this novel, which imagines the nature of the relationship between Eddy (Prince Albert Victor, grandson of Queen Victoria and second in line to the throne) and his tutor Jem (James Kenneth Stephen, a cousin of Virginia Woolf) from 1883 until their tragically early deaths. Aside from their complex rapport with their respective fathers, the two young men appear perfect opposites — mirror images: Eddy, who doesn't seem to possess any useful qualities save for his kind heart, is a sad disappointment to his family, while academically gifted and acclaimed sporting hero Jem's future shines bright. But as the years pass, their loyalty to each other must bear the weight of the very different expectations placed on their shoulders and their shared fear of not being "up to the mark." Reading this book is a rich sensory experience, though at times a slightly uncomfortable one. While there's a surfeit of frank sexual content and language in its earlier part, the novel later takes a bolder turn, exploring the profound bonds that can exist between individuals beyond the physical and their life-enhancing, life-altering effects. Our protagonists' vulnerabilities are exposed in a sensitive, understated way, and there are truly touching descriptive passages. I'm very much looking forward to Alan Robert Clark's next novel, Valhalla, about Eddy's intended wife Mary of Teck. I was provided with a free electronic copy of this book through NetGalley by the publisher, Fairlight Books, in exchange for an honest review.